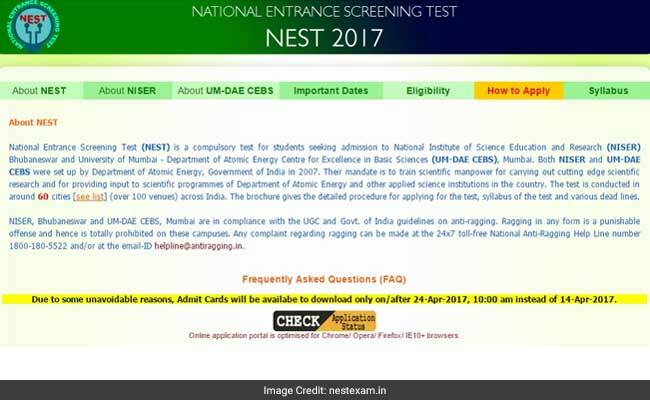 New Delhi: The release of admit card for National Entrance Screening Test (NEST) 2017 has been delayed by ten days. Earlier the admit card for NEST 2017 was scheduled to be released today, but according to an official notice on the NEST website, the admit card will be available for download on or after April 24, 2017 at 10:00 am. The examination is scheduled for May 27, 2017 from 10:00 am to 1:00 pm. According to the notice on the NEST website, the delay in releasing admit card is due to some unavoidable reasons which has not been specified. 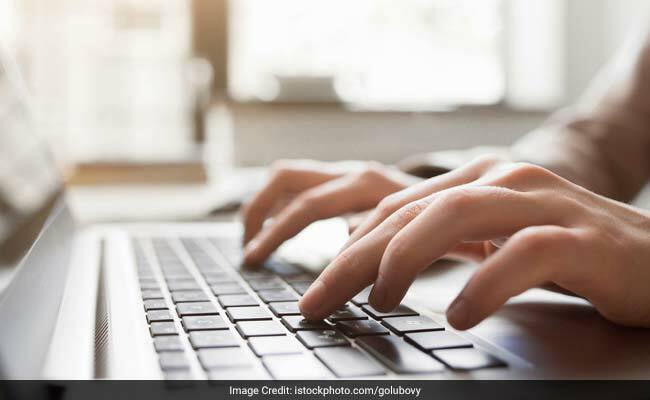 Despite, the ten days delay, candidates would still have ample time to download their admit card since the exam is scheduled in May. NEST exam is conducted for admission to National Institute of Science Education and Research (NISER) Bhubaneswar and University of Mumbai - Department of Atomic Energy Centre for Excellence in Basic Sciences (UM-DAE CEBS), Mumbai. Both the institutes were established by Department of Atomic Energy (DAE), Government of India in 2007. NISER is an off-campus centre of Homi Bhabha National Institute (HBNI) and all academic programmes offered by NISER are affiliated to HBNI. Admission to NISER and DAE CEBS also opens up pathways to Bhabha Atomic Research Centre (BARC) training school. Candidates at both these institutes, who secure grades above a certain threshold are eligible for direct interview at BARC. What appeals to students about these institutes is that these are one of the few institutes in India which focus on scientific research and allow students to navigate a career in the domain.